Happy last week of July! Can hardly believe the month went by so quickly. I hope you have enjoyed both series the last few weeks and in August we’ll be back to our regularly scheduled programming. For the last week I’m sharing my favorite treat beverage. Technically, it’s a café au lait but it feels closer to a latte to me since the cold brew is so concentrated. I don’t drink my cold brew this way as often, but it’s a delicious way to start the morning as well as a lovely pick-me-up in the afternoon. As with everything, I like to add a dash (heap) of cinnamon, and a little vanilla is a great addition too. For a sweeter experience, use your favorite coffee syrup, maple syrup, or homemade simple syrup. I don’t often do sweet lattes these days but I have a white ginger simple syrup I’m definitely looking forward to trying out soon. Thanks for following along and I would love to hear about your cold brew adventures. And be sure to come back Friday for the pièce de résistance of National Ice Cream Month! Heat milk to simmering using method of choice: microwave, stove, milk frother, etc. Pour cold brew concentrate into a mug, and optional add any garnishes (vanilla, cinnamon, simple syrup). Carefully stream in the heated milk. 1 My preference is 2 oz cold brew and 8 oz almond milk, but you may prefer slightly different ratios depending on the strength of your concentrate and the type of milk you use. Although I typically enjoy my cold brew as a hot beverage, sometimes an iced coffee just feels right: usually after long, hot runs or on particularly toasty afternoons. 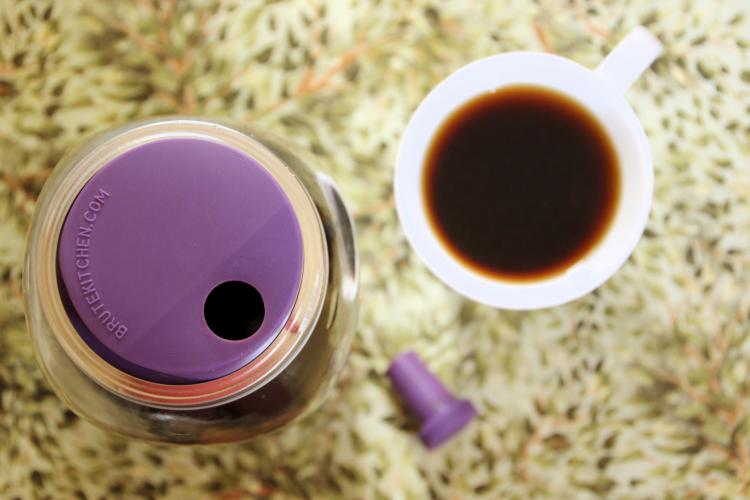 On those occasions having my own cold brew concentrate ready to go is not only more delicious and convenient, but also much cheaper than going to a coffee shop. It is excellent plain, of course, but since I’m usually in the mood for a treat anyway I like to doctor mine with a little vanilla and creamer. Vanilla is always a welcome addition to coffee beverages, and the creamer makes it an extra delicious summer treat. Half and half is my mixer of choice (or cream, for extra decadence), but you can substitute your own favorite. A dash of cinnamon (or heap, in my case) adds a little spice. Although I rarely sweeten mine, a bit of simple syrup, maple syrup, or regular ole sugar is definitely an option if you like your coffee sweet. Use an infused simple syrup for additional flavor options. The next time you’re in the mood for an iced coffee, give this one a try. You may have to play with the proportions a bit to find your perfect ratios, but I promise the practice will be worth it. In the bottom of a glass, add cold brew concentrate and vanilla. Stir in sweetener and/or cinnamon, if desired. Carefully add ice cubes (should be around 2/3 full), then top with cold water. Stir in creamer of choice, and enjoy! 1 As with the hot version, this will depend on how strong you like your coffee and how strong you brewed your concentrate. For mine, I do about 2 parts coffee to 1 part water, but you may not need to dilute yours at all or you may need closer to 50:50 so play around with it till you find what works! I feel a bit silly even posting this as a recipe because it’s so easy and so short, but as something I make almost every day I definitely want to share it with all of you. 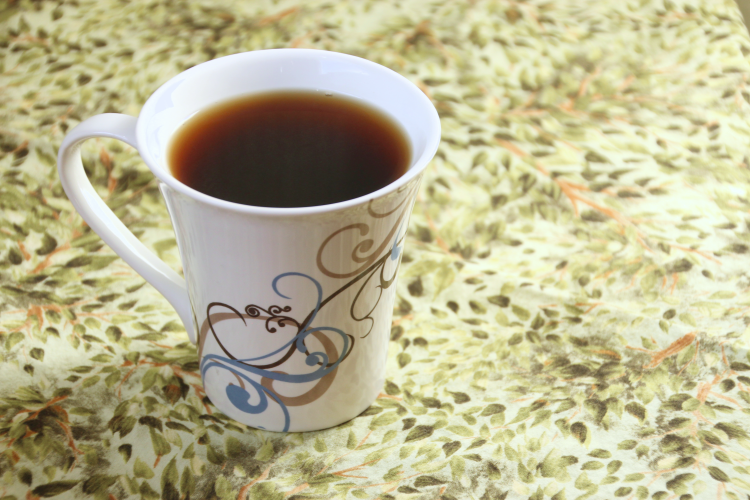 For me, I love starting the day with a hot beverage and even in the heat of summer I nearly always have a hot cup of coffee first thing in the morning. Because of this, the main reason it took me so long to board the cold brew train is because I am much less inclined to drink cold coffee, especially first thing in the morning. Realistically it’s all about the ritual; I could likely start with a plain cup of hot water and be almost as happy. Almost. One benefit to drinking my own cold brew is that it’s one of the few times I prefer coffee black. I managed to wean myself off of sweetened coffee quite awhile ago, but ditching the splash of cream has proven more challenging. I still like it in most drip coffee (especially at restaurants), but at home I enjoy this cold brewed coffee in it’s unadorned state. 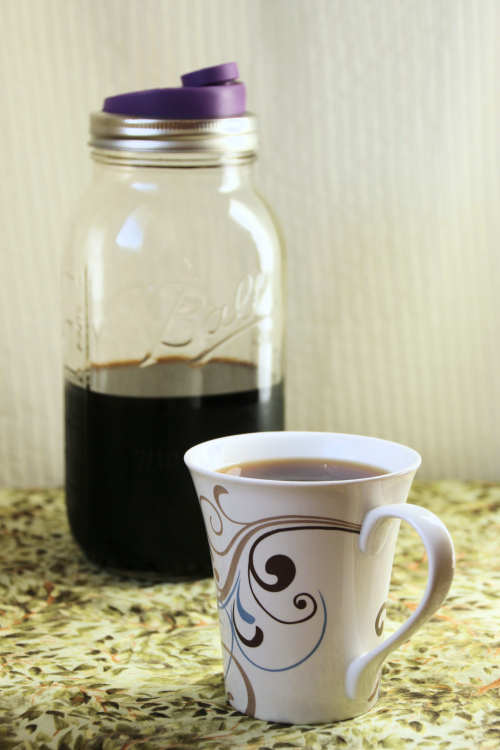 So since coffee is delicious and cold brewed coffee is even better, here’s how I make my concentrate into a piping hot beverage each morning. Hope you enjoy it! PS – I also use this for my bulletproof coffee2 on running days, simply add a bulletproof pod, blend it up, and you’re all set! Optionally add a scoop of protein powder for a nice boost for those tough morning workouts. Pour cold brew concentrate into a mug, then stream in boiling water. Optionally supplement with your preferred garnishes (sugar, cream, etc). 1 I nearly always do 2 oz concentrate to 8 oz boiling water, mostly because my favorite mugs are 10 oz, but this will depend on how long you let yours brew and how strong you like your coffee.